Members enjoy the ability to rent our clubhouse for private parties and gatherings. 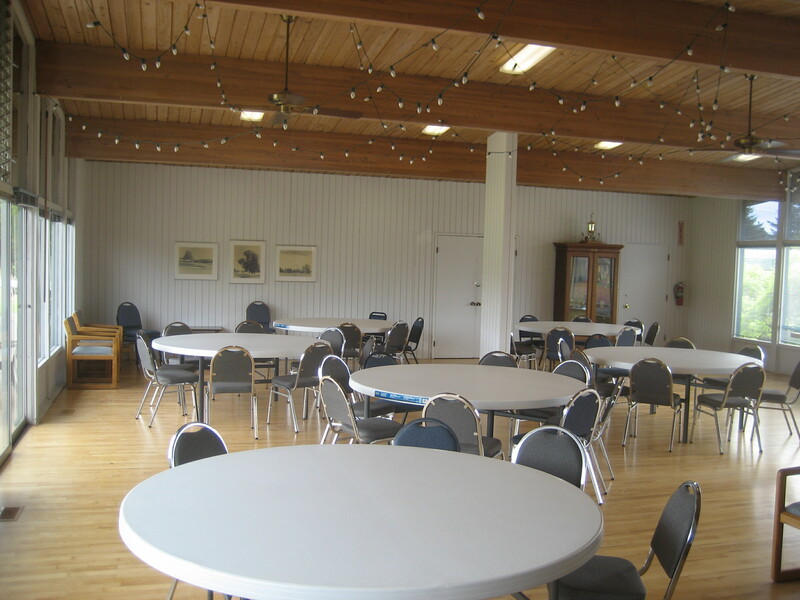 Our clubhouse facility features 1400+ square feet of gathering space with hardwood floors and 2 kitchens. We have tables and seating to comfortably accommodate up to 85 guests. You can also kick back, relax, and enjoy the views from our 500+ square foot balcony that overlooks our beautiful golf course.